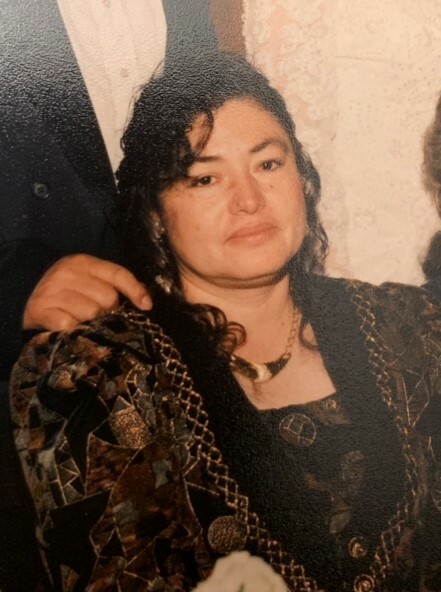 Bertha Rocha de Alvarez passed away peacefully surrounded by her loving family at Dominican Hospital on March 8, 2019. She was 67. Mrs. Alvarez was born to Leonardo Rocha and Margarita Zamora in Michoacán, Mexico on July 18, 1951. She was a resident of this community for 40 years. Before retiring she was employed, 25 years in the strawberry agriculture. Mrs. Alvarez was a happy, caring, and loving person, who liked to spend time with her family and cook delicious meals for them. She was an excellent mother, wife, grandmother and friend, always willing to help them out when needed. She also enjoyed watching Novelas (soap operas) and tend to her garden. Bertha Rocha de Alvarez is survived by her husband, Antonio Alvarez Escobar of 49 years; four sons, Juan Antonio (Laura) Alvarez, Ramon (Veronica Ortiz) Alvarez, Nicanor (Angelica Fernandez) Alvarez and Leonardo Alvarez; and 13 grandchildren. She is preceded in death by her father, Leonardo Rocha. Visitation was held at Mehl’s Colonial Chapel on March 14th Thursday from 5 to 9pm with the rosary recited at 7pm. Mass will be celebrated at Valley Catholic Church on Friday, March 15th at 1pm with burial to follow at Valley Public Cemetery.